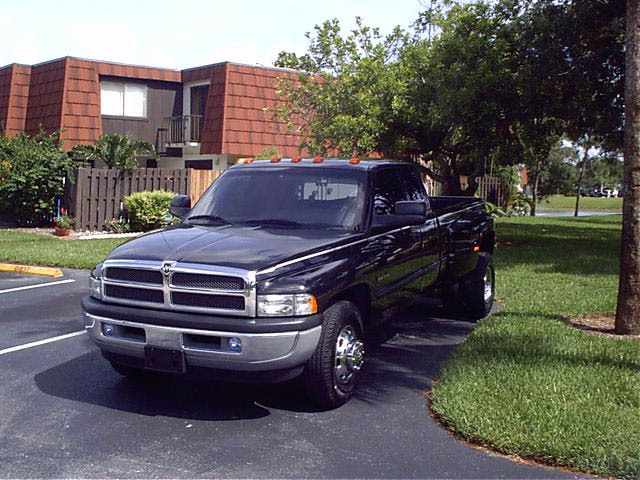 This is my 2001 Dodge Ram quad cab. 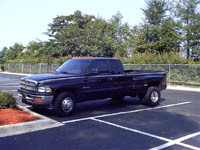 Its a 3500 model (1 ton, dually) powered by a 5.9L Cummins turbo diesel. 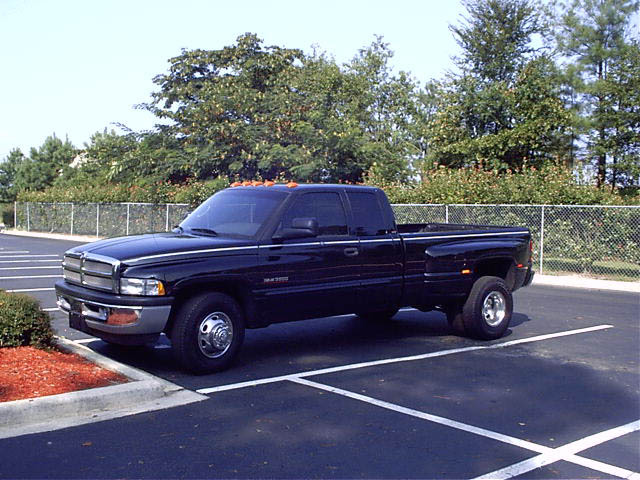 It has an automatic transmission and 4.10 gears in the Dana 80 rearend. Its got a decent option list, power locks & windows, power driver's seat, air, tilt, cruise, AM/FM/Cassette. 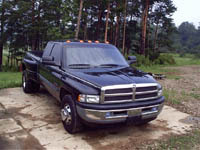 This should handle most any towing need I have. :-) I will probably be leaving this truck pretty much stock as far as the drivetrain goes, perhaps adding some convenience and appearance features. Click here for more details about this system.